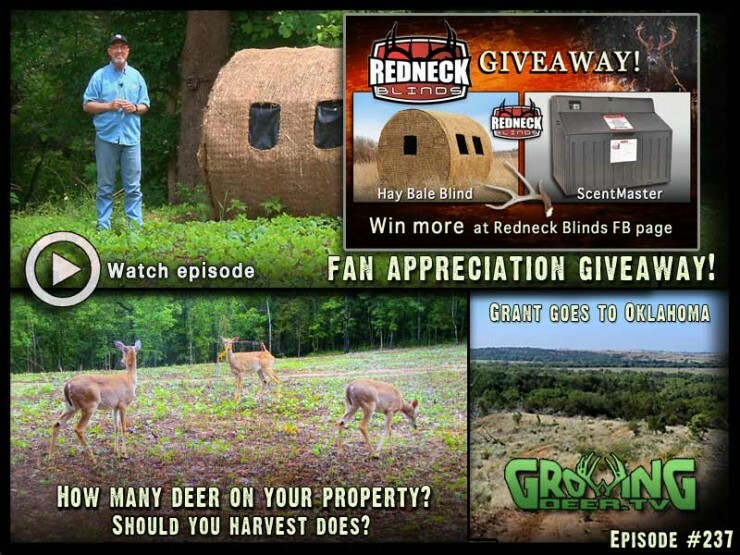 We’re giving away two cool Redneck products, a Hay Bale blind and a ScentMaster. Enter to win on our Facebook page. How many deer are on your property? Should you harvest does? Grant shares a simple technique any landowner can use to answer those questions quickly.